On Sunday, June 25th Buck Run will be commissioning Executive Pastor Zack Thurman and his wife Jennifer to plant Overland Church. Overland is a church plant in the city of Fort Collins, Colorado. 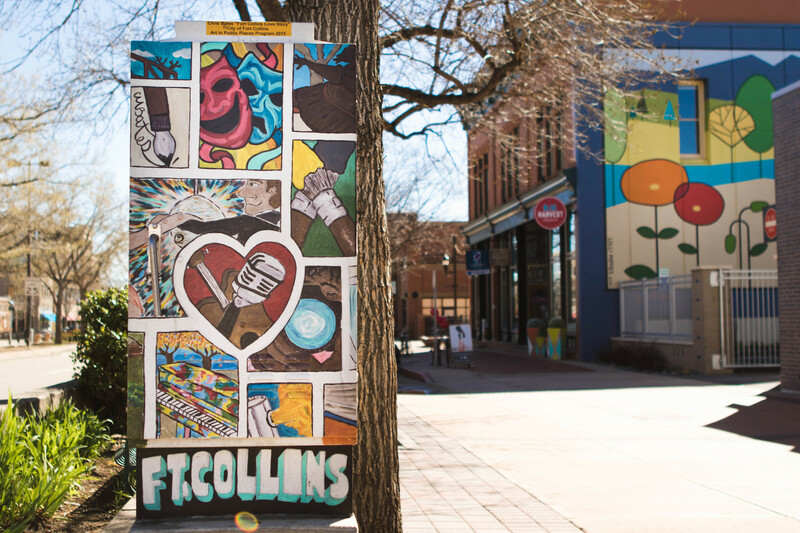 Fort Collins is a city of 167,500 people and home to Colorado State University’s 31,000+ students. A part of the Front Range, Fort Collins is full of rugged, natural beauty. The region is also identified as a SEND City by the North American Mission Board, meaning there are many who need the gospel. Overland Church will seek to intentionally reach the community of Fort Collins and the campus of Colorado State University (CSU). Led by Zack and Jennifer Thurman, Overland has a vision to follow the Titus 2 framework for church planting. Overland will be a multi-generational church that specifically reaches students on campus. At CSU there is a natural “going out” of college students from Fort Collins that happens every year as students graduate college and move on to other places for jobs, future education, or family. Overland Church desires to use this “going out” to send those they disciple to cities all over the Mountain West. Overland’s vision is to reach the community of Fort Collins and the campus of Colorado State with the purpose of preparing and sending others to plant more churches. Buck Run is the sending church for the Overland team. The Thurmans will move to Fort Collins in July. Later in 2017 or in early 2018, they will be joined by Buddy and Brooke Sampson. As the sending church, Buck Run commits to support Overland Church and its team members financially, through accountability and training, and through mission trips to Fort Collins. As sending church, Buck Run is the main vein of support to the Thurmans, Sampsons, and the entire planting effort. How can I support the Thurmans and Overland Church? Join us on Saturday, June 24 from 6:00pm-8:00pm in the Student Room for a reception honoring the Thurman family’s ministry at Buck Run. This will be a time to show gratitude for their time at Buck Run and to encourage them as they prepare to move. Also, during the morning service on Sunday, June 25, Buck Run will commission Overland Church. For Buck Run this will be an opportunity to bless, pray over, and give financially to the Overland ministry in Fort Collins. How can I pray for the Thurmans and Overland Church? Pray for financial partners for the Thurmans and Sampsons as they prepare to move to Fort Collins. Pray for a smooth transition for both families as they move at their respective times. Pray for other team members who are actively looking for jobs and to relocate to Fort Collins. Help the Thurmans move to Fort Collins in July by helping them to pack up their Frankfort house or unpack and set up their Fort Collins house. Make future trips to Fort Collins to learn the area, prayer walk, or help with minor repairs to the Thurman’s Fort Collins house. Join the team by supporting Overland Church as a giving partner, through prayer, or through tangible gifts of supplies, etc. How can I contact the Thurmans and Overland Church?